In 2004 he founded Videoplay project, an international platform for the dissemination of video art, initiating an intensive activity of collaborations and exchanges with several international galleries, museums, private foundations and public institutions around the world. He is also curator of The Videoplay Digital Video Library, an archive of different genres of video art by renowned and emerging artists, which the main concept is to create a basis for interchange and cooperation between curators and organizations devoted to difussion of video. As specialist and researcher in performance art, De Gracia has been co-curator of the First International Biennial of Performance DEFORMES, in Santiago, Chile (2006) and “Performance Presente Futuro", in Rio de Janeiro, Brazil (2008). In 2012, he was one of curators of the most important event dedicated to video art in the Collateral Program XI Havana Biennial, in Cuba, with the project “In excess - FLYERS”. 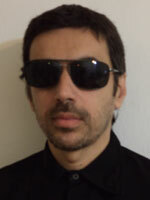 Currently, he is focused in collection and diffusion of video-performance genre, specially from Latin American artists. His theory production includes articles and essays that have been published in specialized magazines, in different websites and books. Also, he is member of international commitee of magazine Inter art actuel, a publication from Canada, specializing in performance and action art. As artist and curator he was guest in the XI Havana Biennial, Cuba (2012); 3th Thessaloniki Biennale, Greece (2011) and X Havana Biennial, Cuba (2009). Space of production, exhibition & exchange on contemporary art, with special interest on the experimental & time-based artistic practices. 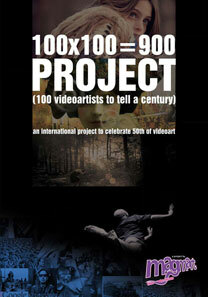 Videoplay platform collaborates with 100x100=900 Project to organize the event at: PERAS DE OLMO - ARS CONTINUA.